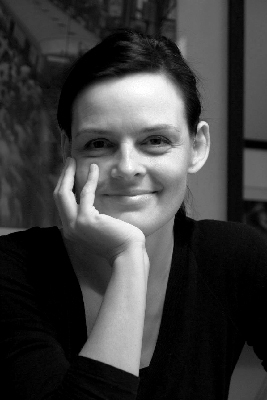 Creative director at leading design firms such as Arnell Group, Smart Design and Frog, Danish designer Rie Nørregaard has created design solutions for Internationally known consumer brands. In 2010, Rie founded OMHU, a new brand and product development company. 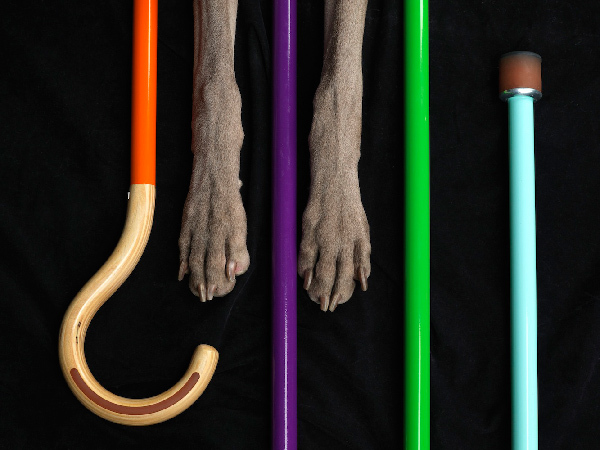 Nørregaard designed an edgy multi-color cane with Allen Zadeh for a senior citizen, which is unique in its design as well as efficient. I became compelled to converse with Rie about the mission of her company, her modern view on our perception of aging, as well as, her approach to designing canes. Adriana Teresa: What is the mission of your company OMHU? Rie Nørregaard: Omhu's mission is to change the way we think and feel about aging and disability through design. AT: Why did you decide to design canes? RN: The cane is the first item in a collection of products that a lot of people need when they have limited mobility. These products help you get around and do daily tasks, such as shopping, bathing and cooking. We started with a cane because it is a very social object. A cane helps with support and balance of course, but it really allows you to be both independent and connected to others, and that is so important to a healthy and happy life; at the same time, a cane is something that nobody wishes for. Our idea is that a beautifully designed and really well functioning piece of equipment can make you reconsider the object and the situation. If you feel good about the cane you use, if you are happy with the way it looks and the way it expresses your personality, then you are much more likely to use it. And that is the goal. AT: OMHU means "with great care" in Danish. What does OMHU value? RN: We value caring -- for each other and about the things we make. Products that are well designed can make you happy when you use them. The same is true for the materials we use. And we value the opportunity to make beautiful products for people who really depend on them. A lot of individuals write us to express how excited they are about their cane. It is very satisfying to know that all the thought and work we put into a product translates to joy for someone. AT: How do you describe your canes? RN: Very Scandinavian in inspiration, and unexpected in execution -- Omhu canes celebrate movement and product efficiency. The canes are made from the same materials as skateboards, bicycles and hiking boots. We use high performance materials, like aluminum, which is both very light and strong, and wood that is pleasurable to touch. AT: OMHU offers senior citizens a product that is innovative and unique in its design as well as efficient. Many products created for senior citizens lack of a modern, edgy design. Does that say something about how we perceive and address aging? RN: Absolutely. We act as if aging is a choice somehow -- as if it might not happen to us. Especially in the U.S., we have such a youth-focused culture; meanwhile, we are an aging society. However, it is not just about aging, it is about making products that help when you need it. If you are recovering from injury or need help with balance in general, you should not have to settle for products that are poorly designed. Nowadays, you have choices of styles in phones, glasses, and shoes. So, why not in a cane, walker or bath chair? We focus on ability rather than aging, since we have customers of all ages. AT: Is the perception of aging something you would like to change? RN: Yes, very much. My own perception of aging changes all the time of course. However, I do feel we can work towards creating a culture where people can live both independent and connected lives across generations. Designing products that allow people to do that is a very practical response to that idea. OMHU believes that life is imperfect and beautiful. I think we need to show each other care and respect through the objects we create and use, especially when we need help. 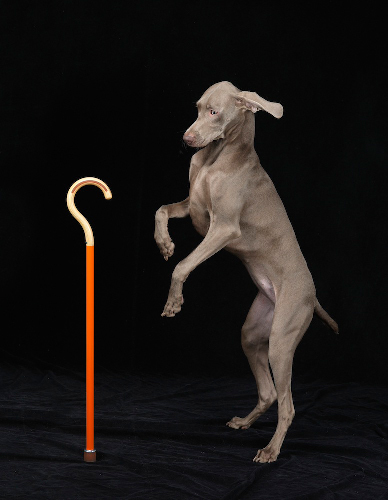 AT: How does the design of your canes exemplify an alternative view to our perception of aging? RN: Well, the cane is the first of a suite of products that many people need for very different reasons. If I use the cane as an example, first we created a much better cane, and then we designed it in six colors so that people have a choice of style. Everybody likes to choose a color, even when they are not thrilled about needing a cane. 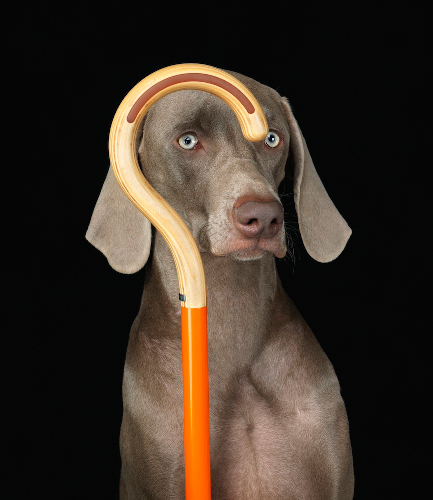 A cane can feel like an accessory, like a great pair of glasses. Glasses were once only available in a few styles and considered a medical aid. Now fashion brands make glasses and market them like fashion. That's the kind of thinking we need. AT: Recently, you collaborated on a campaign for Omhu with photographer and conceptual artist, William Wegman, who is known for photographing dogs. For this campaign, you featured your canes alongside William's dogs. Tell me more about this campaign. RN: I have loved Wegman's work for a long time. I like the very graphic compositions and the humor in his work. I had in my mind the iconic fashion work Bill has done when I thought to approach him for the William Wegman + Omhu campaing. On set, Wegman worked with movement. 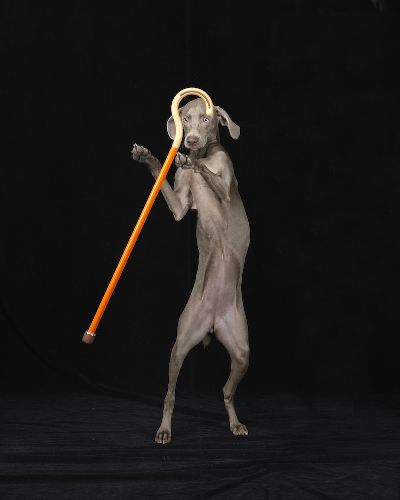 He photographed a jumping and dancing dog, which was a wonderful and playful surprise. I love the idea of playing with canes! The dogs as models make us look at fashion and style differently. They are beautiful, sophisticated and powerful. They are also high performance beings with a sense of humor, which is really important, because canes are not really a light topic. AT: What is the intention of the new campaign William Wegman + Omhu? RN: The intention is to make you look at a walking stick or a cane differently. 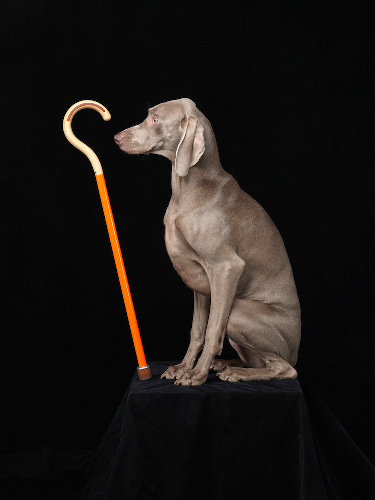 We want people to see a cane as a design object as well as something to enjoy. It looks exciting and modern. So, the connection is between art and design. AT: What's new? What's next? RN: Omhu has distribution in Japan and Europe now, which is very exciting. Later this year, we are coming out with new products in the collection. What ties the products together is a simple modern approach to form, materials and color. We love color, and choice of color. Our products look like they belong in a home and not a hospital. AT: Where can one buy OMHU canes? RN: You can buy the Omhu cane on omhu.com. We also sell to museum and gift stores such as The Shop at Cooper Hewitt, National Design Museum, Just Scandinavian and the famous Bigelow's pharmacy in New York. Kuhl-Lindscom in Houston, the Seattle Art Museum and A +R in LA, the Danish Design Center in Copenhagen and Sempre and Seibu in Tokyo are some of the other retailers. The "In Conversation Series" is a column of interviews in Visura Magazine published by Adriana Teresa.